Until Dawn was certainly a highlight for Supermassive Games, the UK-based developer that wasn't overly well known before it. A slick homage to the teen slasher horror of the 80's and 90's, it wasn't perfect, but it was one of the key earlier releases in the PlayStation 4's lifespan. After Until Dawn, Supermassive Games worked on some VR titles with varying success (including the utterly abysmal Bravo Team), and Hidden Agenda, a crafty crime thriller, but one that never got the attention it deserved on account of it being a PlayLink experience, which has largely fallen flat with the community. But now, as shown off at Gamescom, Supermassive Games is right back doing what it arguably does best; narrative-heavy spins on the horror genre. 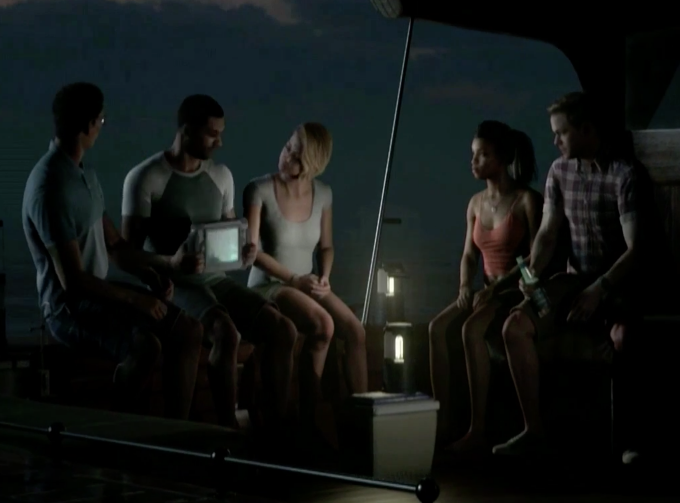 The Dark Pictures promises to be a series of cinematic horror games, and Man of Medan is the first of these, telling the story of a bunch of young divers looking to explore a WW2 wreck before things go belly up. IGN got some footage of the game at Gamescom, which you can see below. It is looking really good at this stage.